We offer Premium paper bags with personalisation with your own message. The bags are printed in exquisite traditional designs and create an ambiance of festivity and joy. More designs and themes coming soon. They are coated with a water resilient coating for a longer life. The bags have a beautiful cord for ease of carrying. Begin your order journey by clicking Browse Templates or Upload your own design. Also, keep a realistic tab on your expenses, use the Price Calculator. Tired of the same old boring routine gifts? Then these distinctive paper gift bags are perfect for you! India has been associated with parties, fairs, and festivals that culminate a grand evening of joyful experiences. Festivals have set people of all ages to use social media for purchasing products through E-shopping. However, different regions of India have diverse ways of buying products online and celebrate the special moments in life with a bang. Especially when it comes to weddings, the celebration begins with sharing - Sharing of gift hampers, sweets, dresses and love. Giving and receiving is a tradition that won’t fade away anytime soon. Paper gift bags, paper gift boxes and return gift bags shine in this scenario! Why Printstop for Paper Gift Bags? When it is time to get different, try our paper gift bags with personalized messages printed all over them, all in lovely shades of your favorite color! Consumer expectations have forced us to adapt to mobile needs worldwide. Our website helps consumers to find their favorite products and select by visiting the catalog that displays the product's price, availability, and shipping status. This helps consumers to choose the best product at the best price. 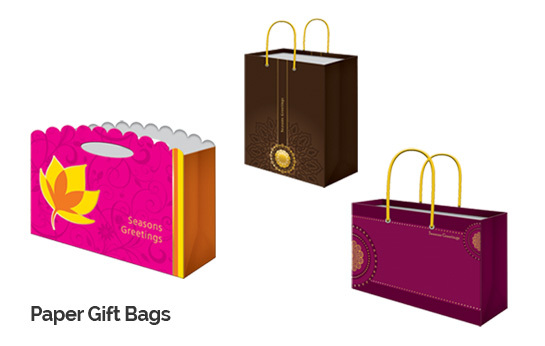 Go Green with paper gift bags and printed bags from PrintStop, Paper gift bags are eco-friendly and much less harmful to the environment than plastic bags. Get a quality colourful paper gift bag and customise it the way you want, all from our site. At Printstop, we have skilled and trained professionals who love giving attention to details and make the return gift bags more special and eye catching. 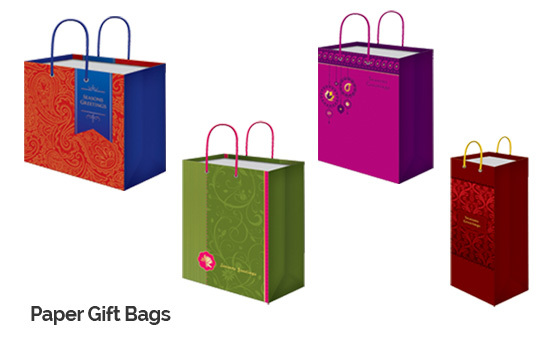 These paper gift bags are coated with water resilient coating for a longer life. Also, the bags have an amazing cord to carry your things with ease. Browse our paper gift bag designs for different occasions like birthdays, weddings, festivals etc. Select the size, quantity and place your order. Get it delivered to your doorstep. We ships these paper gift bags completely flat. Gifts and love are surely the key ingredients of a true festival, so keep an eye on our sale because this is the perfect time for more discounts and make sure to use every offer provided by us to save more money. Our Indian gift bags and return gift bags will almost be as coveted as the items they hold. Please contact Printstop for more information!